Alfaro, I, N Bloom, and X Lin (2016), “The Finance-Uncertainty Multiplier”, Stanford University Working Paper. Carney, M (2012), “Uncertainty and the Global Recovery”, speech, 15 October. 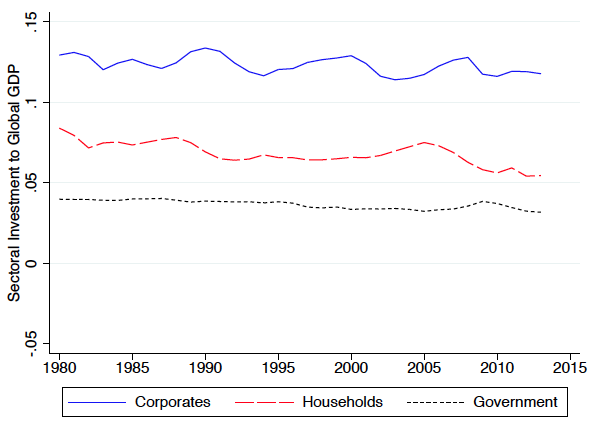 Chen, P, L Karabarbounis, and B Neiman (2017), “The Global Rise of Corporate Savings”, NBER Working Paper. Fama, E, and K French (2001), “Disappearing Dividends: Changing Firm Characteristics or Lower Propensity to Pay?”, Journal of Financial Economics. Karabarbounis, L, and B Neiman (2014), “The Global Decline of the Labor Share”, Quarterly Journal of Economics. 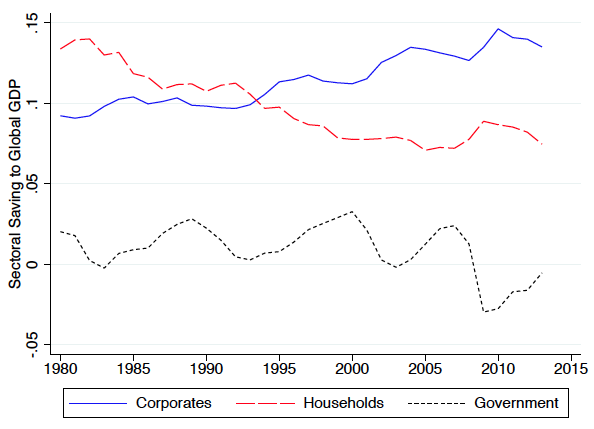 Poterba, J (1987), “Tax Policy and Corporate Saving”, Brookings Papers on Economic Activity. The global decline in the labour share was previously documented in Karabarbounis and Neiman (2014). The stability of dividend payments to global GDP that we document is consistent with the stickiness or decline of dividends as discussed, for example, in Fama and French (2001). Our conclusions for the global rise of corporate saving do not change qualitatively when we define dividends to also include equity repurchases net of issuances.